Arriving home from school, Bertilla is sad to find her home unprepared for her and her widowed mother is far from pleased to see her. Even worse, Lady Alvinston, a celebrated Society beauty, makes it clear that she has no intention of allowing her pretty eighteen-year-old daughter anywhere near the glittering London social scene she enjoys so much herself. As her mother continues her scheming to snare a wealthy husband before her looks fade, the last thing she needs is Bertilla making it obvious that she is old enough to have a grown up daughter. So when handsome Lord Saire, the prize amongst all of the eligible bachelors, happens upon Bertilla at a railway station, Lady Alvinston determines that their paths shall never cross again. 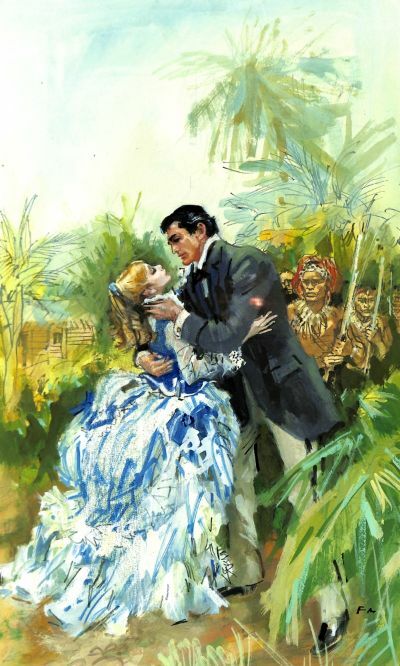 Hastily packed up and sent to live with her mean-spirited Aunt Agatha, a Missionary in Sarawak, Bertilla is reconciled to the fact that she will never see England again. Feeling rejected, unloved and facing the deprivations of a Second Class ticket on her long sea voyage to Malaya, she is astounded to meet Lord Saire once more. Cut off from everything she knows and thrown into the elegant world of the steamship Saloon, Bertilla clutches at the kindness offered by Lord Saire, the man the Society matron’s call, the Love Pirate’. Dashing, independent and a well-known heartbreaker, Lord Saire is cast in the unusual role of rescuer as they travel towards the beauty and mystery of the Far East. Acting as guardian and protector to Bertilla is very different to the passionate but brief relationships with Society beauties he normally enjoys and demonstrates the caring side of his nature. But is this a role he relishes or are his eyes really on the sophisticated married women he usually spends time with? As a man who has shunned love and marriage is he really the ideal protector for Bertilla as she dreams of freedom, romance and true love?